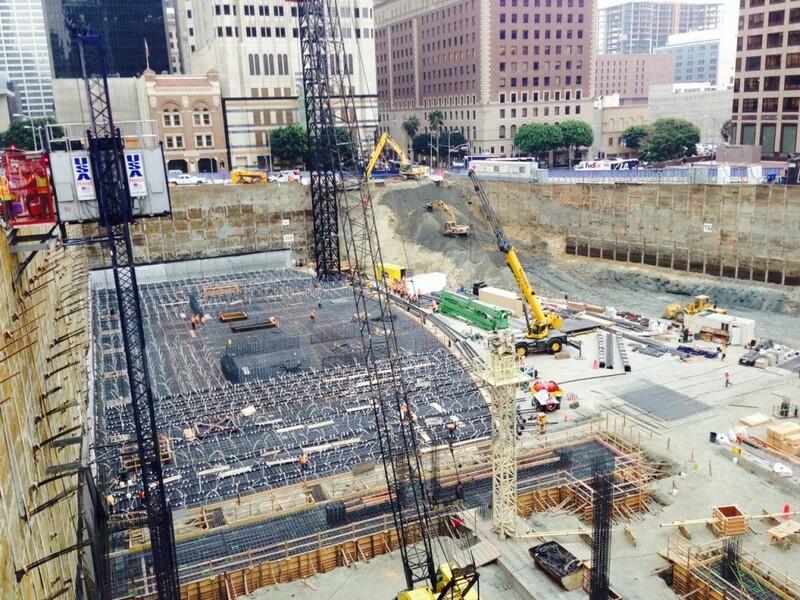 World Record: Wilshire Grand developers attempt largest continuous concrete pour in history. They’ll be laying the foundation for a planned 73 story luxury hotel, office and retail space in downtown LA . When completed in 2016 the structure will be the tallest west of the Mississippi. If this weekend’s pour is successful, the building will also set a world record for the largest continuous foundation pour ever.